The blackbody radiation shift imposed by atom traps on the energy level of the enclosed ultracold atoms will soon impose limits on the accuracy of the best atomic clocks. Although only important at a precision level of a part in 1015, accurate knowledge of this shift is more pertinent now that clocks are closing in on the part-per-1018 level of precision. 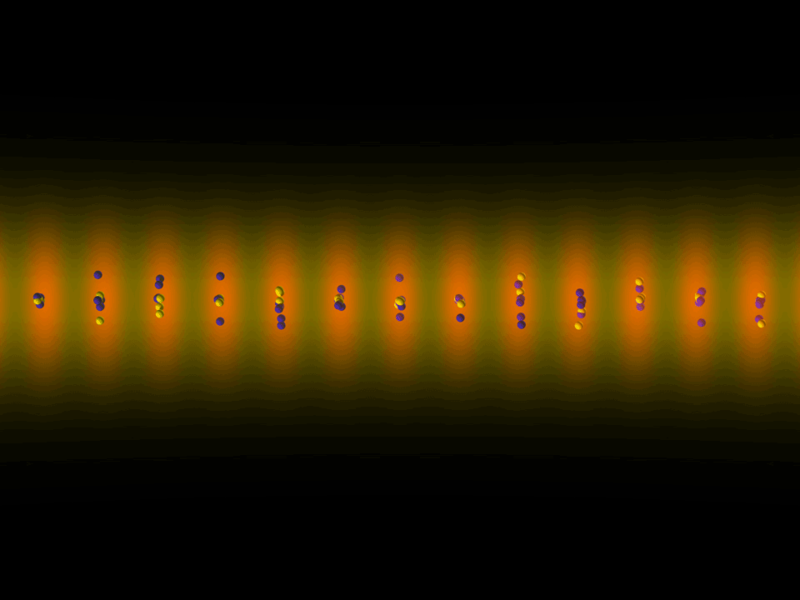 New calculations by PFC-supported work at the Joint Quantum Institute and the University of Delaware is the best yet since it includes the most complete treatment of the electron-electron correlations within the Yb atoms and uses a new method for evaluating the dynamic part of the blackbody shift. The calculated shift uncertainty achieved here---about 2 times 10-18 --- corresponds to a clock uncertainty of about one second over the lifetime of the universe so far, 15 billion years. The authors also studied the long-distance interactions among the Yb atoms and atoms of other species as well. This is critical to understanding the physics of dilute gas mixtures in general. Such mixtures are of interest, for example, in studying such things as quantum dipolar material and many-body quantum simulation. Besides applications in timekeeping and the study of ultracold chemistry, the results of the present work are important for the measurement of the weak force (through subtle parity effects) and the search for the new physics beyond the standard model of the electroweak interactions.